A new web site and mobile app from Alliance Tire Americas, Inc. simplifies the warranty submission process for dealers and customers of Alliance, Galaxy and Primex brand tires. The ATG “Warranty Wizard,” available online and on both iOS and Android devices, expedites the warranty process by walking users step by step through the claim submission process. “The Warranty Wizard provides tire dealers with an easy-to-use tool to enhance customer service in the field, allowing them to help their customers make a warranty call as quick, painless and productive as possible,” says James Clark, President of ATA in Wakefield, Massachusetts. 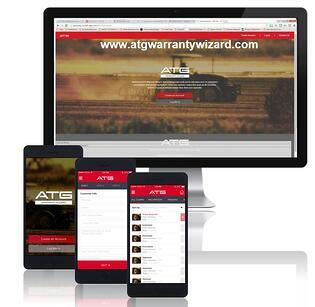 To submit a claim through ATG’s Warranty Wizard, go to www.atgwarrantywizard.com, or search for the “ATG Warranty Wizard” on the App Store or Google “Play” store.